Born in St. Louis, Mo. 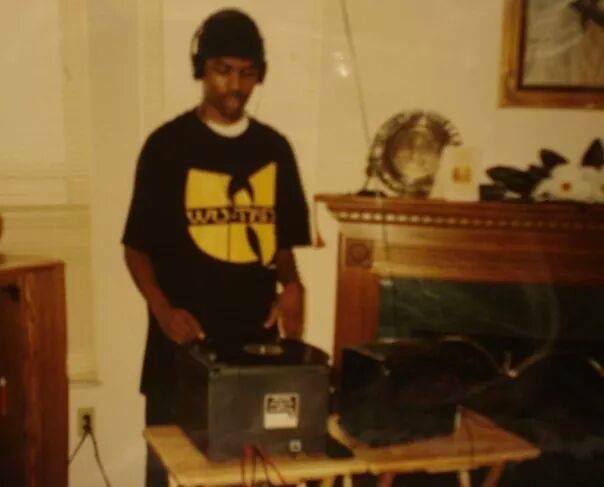 and raised in East St. Louis, Il., James “BIKO” Gates aka Nappy DJ Needles started doing house parties with tapes and cds in 1994. By 1997, Needles had a job at Vintage Vinyl (St. Louis’ Landmark Record Store) and was surrounded by so many dope, rare and “gotta-have” Hip-Hop records, he became a collector and began learning to mix. Shortly thereafter in 1998, after receiving his break from veteran deejay Rich Money to spin his very first set at U City’s Red Sea, Needles released his first mixtape entitled “98 Fresh Mix Tape” featuring music from Pete Rock, A Tribe Called Quest and Black Star. The next year, after gaining a considerable following from more live sets around the city, radio personality Deja Vu recruited Needles to commercial radio, offering him a specialty mixshow as a platform to expose underground and classic Hip-Hop music. Since that time, Needles has been delivering his signature progressive Hip-Hop style to crowds far and wide. Rocking venues such as Lola, The Gramophone, Blank Space, 2720, Blueberry Hill and others in and out of St. Louis, Needles appeals to a diverse group of music lovers. The 10-time RFT Music Award winner is a highly respected figure in the St. Louis Hip-Hop and Soul scene continuing to expose audiences to vintage classics as well as new creative, lyrically-based artists onstage and on the air through his radio shows THE JOINT: New Rap Alternative (WHHL – Hot 104.1 – www.hot1041stl.com) and Rawthentic (KDHX 88.1 – www.kdhx.org). As touring DJ for Black Spade and Hawthorne Headhunters, Needles has hit SXSW stages for the past 2 years as well as other music festivals around the country. Throughout his career, Needles‘ playlist has expanded beyond strictly Hip-Hop. He often refers to his sets as polyrhythmic; many different styles as one fresh sound. When Needles performs you are likely to hear Vintage and Future Soul, True School/Progressive Hip-Hop, Afro Beat, House, 80s/90s R&B and more.